Last seen in 2008 as part of the CDP pack, the Air Jordan Taxi 12 returns to shelves in just two weeks. It features the usual black mudguard, white leather upper, and golden eyelets. Although these will be a general release, I have a feeling they will sell out within hours. Be sure to stop by your local Jordan Brand retailer and try to reserve your pair, if not you may need to camp! 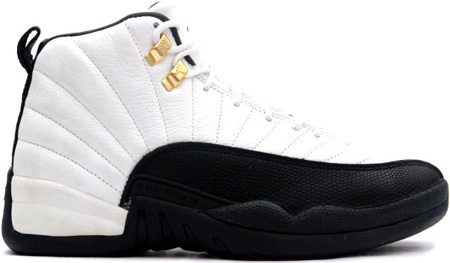 The Air Jordan Taxi 12s release in two weeks on December 14, retailing for $170.